Despite only making up a short part of your big day, your vows are the most important aspect of your wedding ceremony. They’re the words that publicly commit you to each other, declaring your love for one another and your intentions to care for and support each other through thick and thin. Traditional wedding vows do rather a good job of covering all bases: “for better or for worse, for richer and for poorer, in sickness and in health, to love and to cherish; from this day forward until death do us part”, and while most couples still choose this traditional wording, more and more are now opting to personalise their vows. What phrases do I need to make my wedding vows legal? Whether you are having a civil or religious ceremony there are still certain phrases that must be said to make your vows legal. You’ll need to talk to your registrar or celebrant and see how much room there is to customise your vows and choose your own words. A civil ceremony should allow more freedom, but your registrar has the last word on what kind of vows you may use in the ceremony. Chat to them before the big day and make sure they’re in agreement. If they seem inflexible you are within your rights to request a different registrar from the same office to perform your wedding ceremony. If you still feel you’re not being afforded the freedom you want to say exactly what you’d like, then why not consider having a humanist ceremony. This non-denominational ceremony is legally binding and offers a great way for you both to have full control over your vows. How personal can we make our wedding vows? 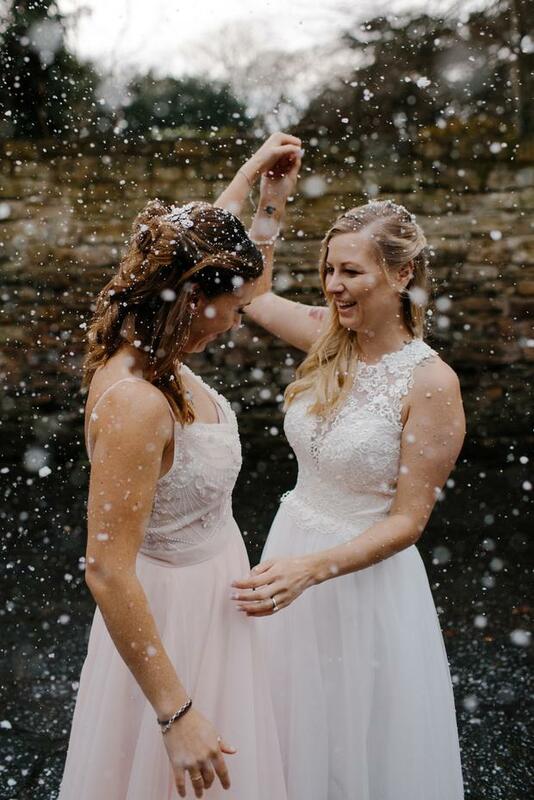 By writing your own vows you both get to express your unique feelings for each other in a way that you are both comfortable with. It’s an ideal opportunity to let all your loved ones know how in love you both are, and how committed you are to your shared future. But your vows need to be sincere and meaningful. While they are intended for your partner it’s important to remember your words will be read out in public. Gushing comments and in jokes will sit awkwardly with your guests, and are best saved for the honeymoon suite. Instead, make promises you both believe in, and ones you feel are relevant to your new union. What if one of us is a little shy? Personalised vows need to come from the heart, and both of you need to feel comfortable sharing them aloud at your wedding ceremony. You need to be in agreement about why you’re writing your own words, and what they will bring to your ceremony. If your fiancé struggles to say romantic things to you on your own he may find personal vows way too tricky on your wedding day. Where can I find inspiration for my wedding vows? You can take your inspiration from anywhere, although it might be best to think about how you make each other feel, and start from there. Think about all the dreams you have for your futures together. Do you plan to trust, share, support, encourage and love each other? Will you endeavour to bring laughter, kindness, loyalty, courage and fun to your new partnership? Consider why your love each other and why you want to make this special commitment. Express your hopes for the future and make promises that you plan to keep as husband and wife. 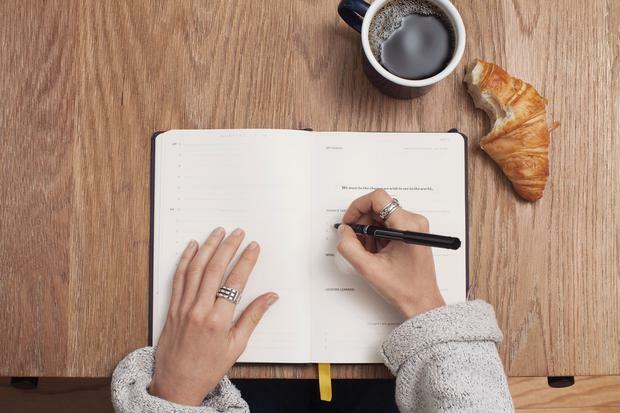 Try to use emotive, lyrical words that flow, rather than stringing together clauses that sound like a legal statement. How long should my wedding vows be? The best, most memorable speeches are sincere and focused, so try to keep things short and sweet. (There’s always room at your reception to give a little speech, if you feel there’s more you’d like to say.) Consider the length of traditional vows, and aim for something similar that will still have impact while holding your guests’ attention. Can I keep my vows secret until the ceremony? 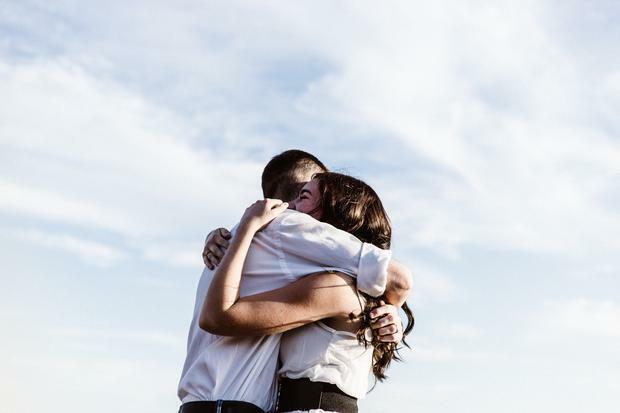 Aside from informing your registrar or celebrant, it’s very special if you can keep your vows as a surprise until the ceremony – but it is a good idea to share a little information with each other. Discuss tone and length to ensure both sets of vows are compatible. You don’t want your words to be light-hearted if your partner’s are deeply personal or romantic. Once you’re both happy, ask a family member to read over both sets to make sure they will work in harmony when the time comes to make your commitment. Finally, practice saying them as much as possible, so that they will sound natural and sincere at the moment you most want them to matter. Need some inspiration planning the wedding of your dreams? The Vow Magazine summer 2018 edition is on shelves now! 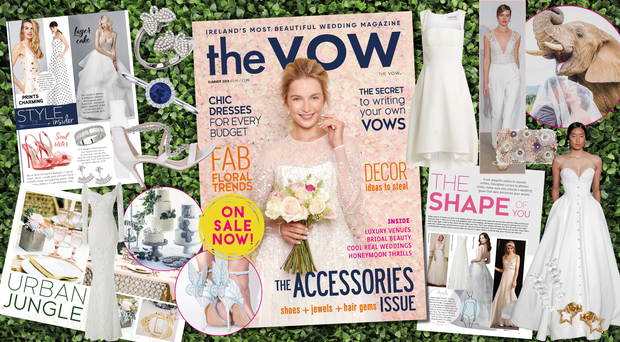 Packed with beautiful dresses, brilliant planning advice, bride-specific beauty and ultra cool honeymoon ideas, The Vow Magazine has everything you need to plan a beautiful big day. Pick up the new issue of The Vow Magazine and get inspired now!